Hanukkah is the Festival of Lights and also a time when we acknowledge God's miracles. 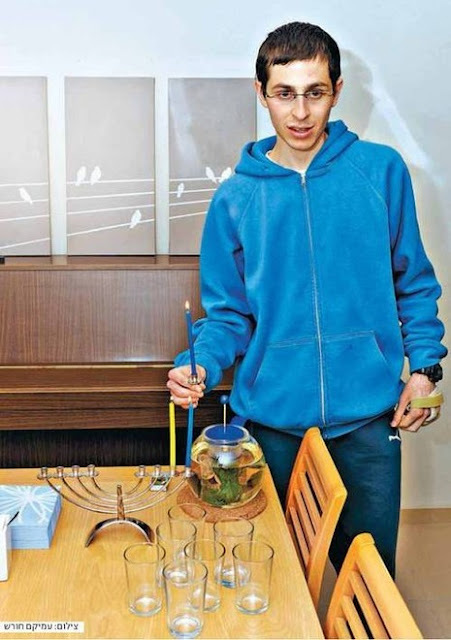 This year we witnessed the miraculous return of Gilad Shalit to Israel and then back home to his family. This truly is a remarkable photo in which we can thank God for the lights of Hanukkah as well as for the safe return of the captive soldier Gilad Shalit.